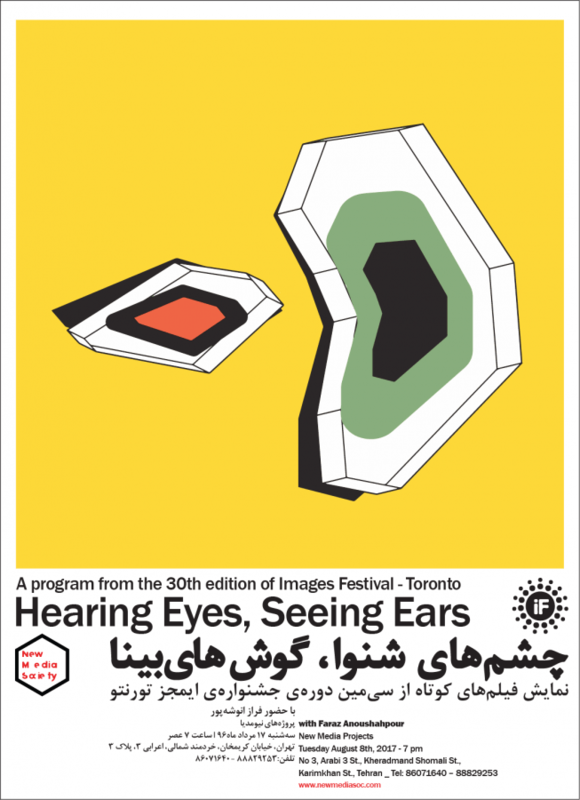 Tuesday August 8th, 2017 | 7 pmCelebrating its 30th year, Images Festival presents a program of short films at New Media Society in Tehran. The Images Festival is a yearly event devoted to independent and experimental film, video art, new media and media installation that takes place each spring in Toronto, Canada.The festival was founded in 1987, originally conceived as an alternative to the Toronto International Film Festival.From forensic analysis of gunshots to handmade gun tattoos in prison, this program of shorts forces us to look beyond the everyday marks and traces of violence that are not readily legible to our eyes and ears.Faraz Anoushahpour is a curator and artist based in Toronto, Canada. He obtained his undergraduate degree in architecture from the Architectural Association in London, and finished his masters in Interdisciplinary arts at OCAD university in Toronto, Canada. He has acted as the programmer at Images Festival since 2016.